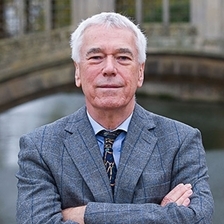 Robert Tombs’ most recent work is The English and Their History. His areas of specialism include Franco-British relations since the 18th century, French nationalism and contemporary French history, including politics and political ideas; cultural identities (national, gender, religious, etc); cultural representations; and war. His other key publications include Nationhood and Nationalism in France Before the Great War, The War Against Paris 1871 and Britain and France in Two World Wars: Truth, Myth and Memory.